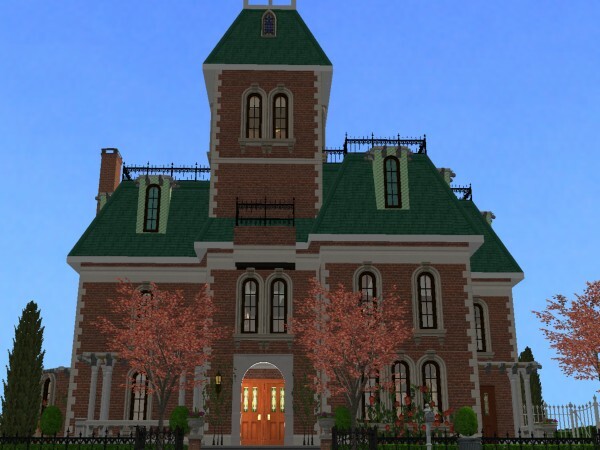 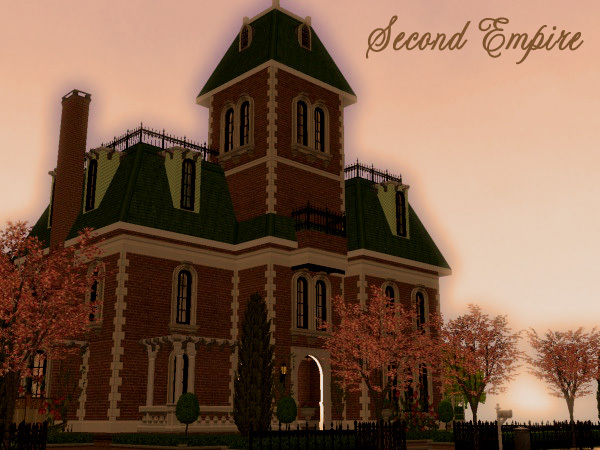 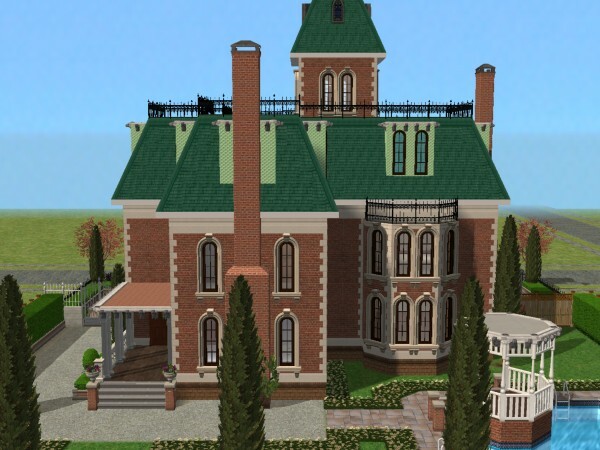 This house in the style of Second Empire has everything your upstart Victorian sim needs! 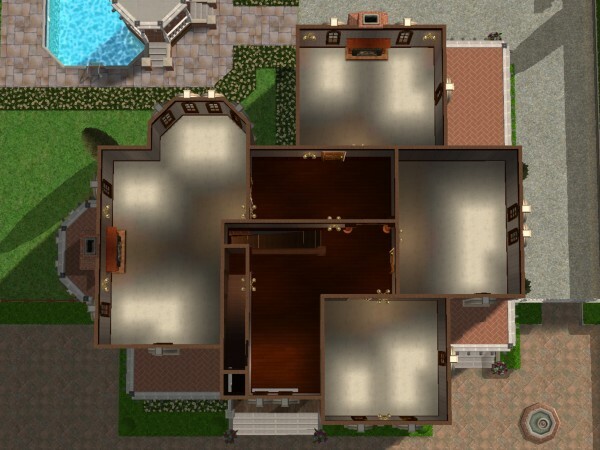 House includes formal parlor and living rooms, small music room, formal dining, four bedrooms and one bath downstairs (though one of the smaller beds could easily be converted into another bath upstairs), pool, gazebo, and large attic split into two rooms, one of which could also be used for another bedroom. 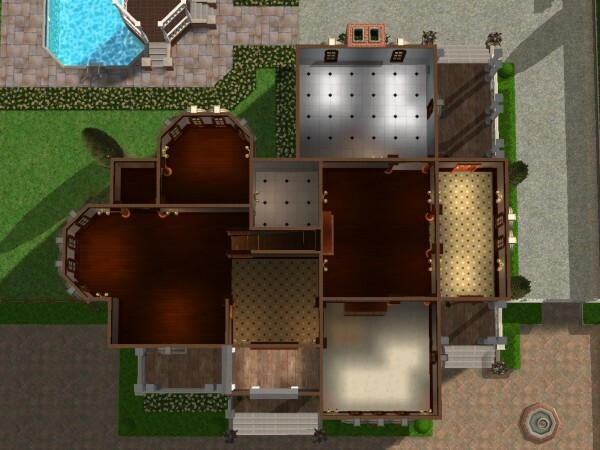 The driveway accommodates one vehicle, or buggy, and the yard is very low maintenance.